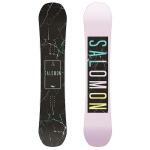 Our Collection of 2018/2019 Women's Snowboard's is here! Our women's snowboard range is hand-picked and tested by us to suit a variety of snowboarding needs, from beginner to advanced snowboarders, and from freestyle to all-mountain riders. We stock Burton, Capita, Death Label, GNU, Nitro, Rome & Salomon, Our team of shop staff are on hand to help you choose the perfect combo of board, boots & bindings, so feel free to give us a call at our Manchester Store 7 days a week. 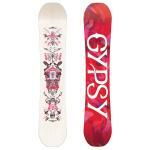 All the women's snowboards on our website are in stock and available for express delivery.